Fears about the treatment of children on Armed Forces Day have sadly turned out to be justified. Children were invited by armed forces representatives to handle real weapons and to see such activity as fun and exciting. 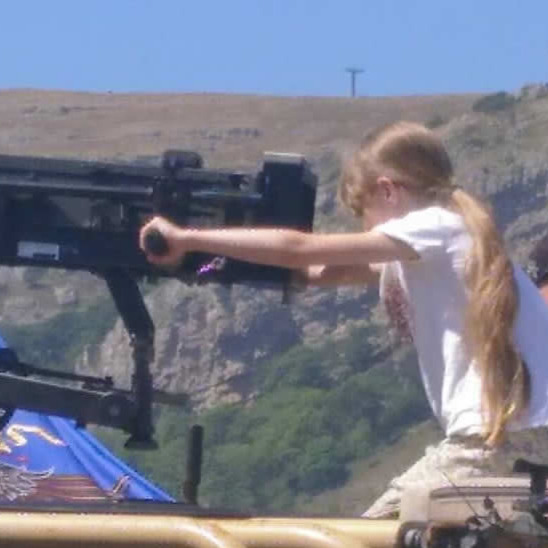 At the "national event" for Armed Forces Day in Llandudno, very young children were repeatedly invited to handle artillery pieces and to sit at the controls of a military aircraft. They were not provided with information about the actual effects of these weapons on their victims. Similar behaviour could be seen at Armed Forces Day events elsewhere in the UK. There are very few legal restrictions on what children may be invited to do at such events. The Peace Pledge Union (PPU) warned that both children and adults were presented with an unrealistic image of war as glamorous and exciting. In the light of this situation, the PPU urged local authorities to introduce strict rules to protect children when the armed forces are in their area. However, Armed Forces Day was met with protests, vigils and alternative events in more towns and cities than ever before. Despite all the rhetoric of armed forces fighting for "freedom", peaceful protesters were threatened in several places, as well as facing biased policing. In Blackpool, members of Veterans for Peace were stopped from handing out leaflets on the promenade, and threatened with arrest if they returned. While Theresa May was speaking of her respect for veterans, actual veterans were prevented from exercising freedom of expression. 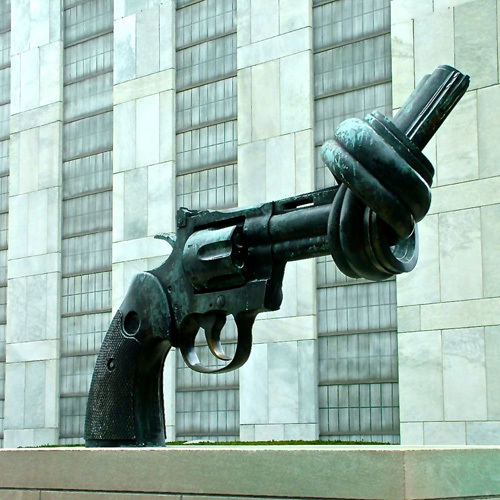 In an ironic moment in Llandudno, a police officer asked members of Conwy County Peace Group and the Peace Pledge Union not to give any of their flyers to children, although in practice nearly all of them were given to adults. A few yards away, children were invited to handle weapons and were bombarded with pro-military propaganda. The situation reflected events in Leicester the previous weekend, when an army officer had called the police after objecting to a vigil by Leicester for Peace. The police tried to stop the campaigners from taking photos, but they stood firm and pointed out their legal right to do so. Armed Forces Day was introduced in the UK in 2009, in the wake of widespread public opposition to the wars in Iraq and Afghanistan. By promoting “respect” for the armed forces, it encourages support for war by the back door. Many Armed Forces Day events are funded by local authorities, some with grants of up to £10,000 each from the Ministry of Defence. Figures for the total cost to taxpayers of Armed Forces Day have not been provided. The Peace Pledge Union warned that Armed Forces Day acts as a recuritment tool on two levels: a number of young people are pushed towards signing up to the armed forces, while a much larger number of people are recruited to a military mindset. 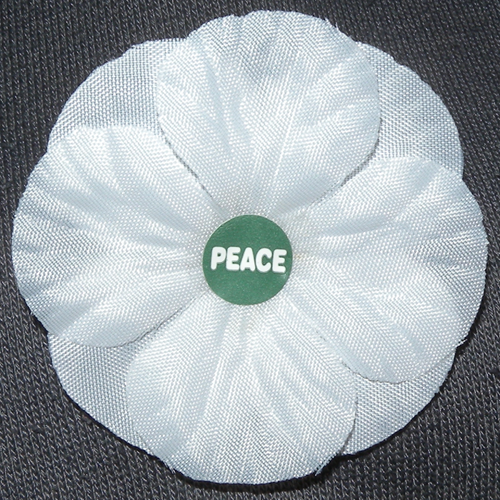 Disgust at Armed Forces Day has motivated several people to become more involved in campaigning for peace and nonviolence, with some taking the peace pledge (to resist war and its causes) and joining the Peace Pledge Union. 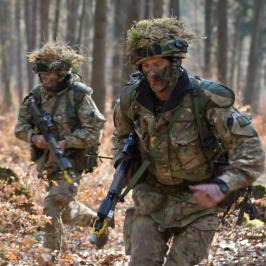 Theresa May announced this weekend that the "national event" for Armed Forces Day will next year be held in Salisbury. The PPU will work with other groups, both local and national, to organise protests there and to expose the realities behind the presentation of "family fun".